This article provides former MobileMe members with information about the complimentary iCloud storage upgrades that expired on September 30, 2013. Former MobileMe members received a complimentary storage plan after moving to iCloud between October 12, 2011, and August 1, 2012. 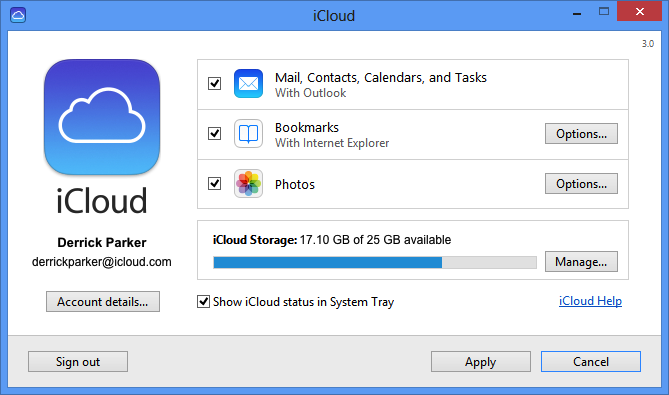 On September 30, 2013, the complimentary iCloud storage plans expired and were automatically adjusted to the free 5 GB plan. If you already purchased a storage plan, no further action is required. How do I check how much storage I'm using? You can view how much storage is currently available in the Storage section. 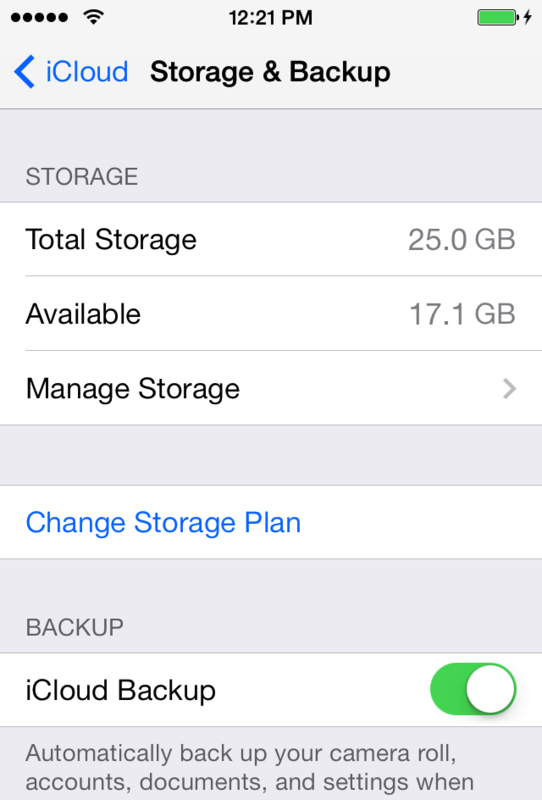 In this example, you have 17.1 GB of available storage out of 25 GB total. You are using 7.9 GB of storage. Choose Apple () menu > System Preferences, then click the iCloud icon. 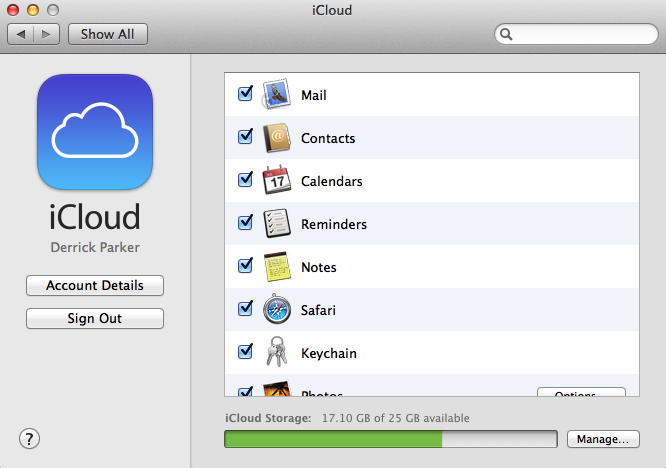 You can view how much storage is currently available in the iCloud Storage section. In this example, you have 17.1 GB of available storage out of 25 GB total. You are using 7.9 GB of storage. Windows 8: Go to the Start screen and click the iCloud tile. Windows 7, Windows Vista: Choose Start > All Programs > iCloud > iCloud. What should I do if I'm using more than 5 GB of storage? If you're using more than 5 GB of storage, you can either reduce the amount of iCloud storage that you're using, or purchase a storage plan with a larger amount of storage than you’re currently using. What happens if the storage I'm using exceeds the total storage available? If the storage you're using in iCloud exceeds the total storage available, iCloud Backup, Documents in the Cloud, and iCloud Mail will temporarily stop working. To resume using these features, you can either reduce the amount of iCloud storage that you're using, or purchase a storage plan with a larger amount of storage than you're currently using.